If you have multiple Facebook accounts, or share a computer with friends and family, the social network makes it easy to quickly switch between profiles using the same browser. When you’re logged into Facebook, you should see an Account Switcher button next to your profile name. Enter your username and password and click Log in. If you check Remember password you won’t be prompted to enter your password when switching accounts. If you don’t check Remember password, you’ll still be prompted to enter the password for your account, adding a level of security to the feature. Now when you click on the Account Switcher button, you should see both accounts. The account you’re viewing will be marked with a green circle. If you decide you’d like to remove an account from your computer, click the little grey X in the corner of your profile photo. Because you have the option to always enter your password when switching profiles, this feature is useful for family members who share a computer. Facebook allows you to add up to ten accounts using the Account Switcher feature. It will also come in handy if you have a separate Facebook login for work, you can keep all things work and personal completely separated. The Account Switcher feature is not available on your phone as Facebook sees it as a tool useful for families sharing a computer. 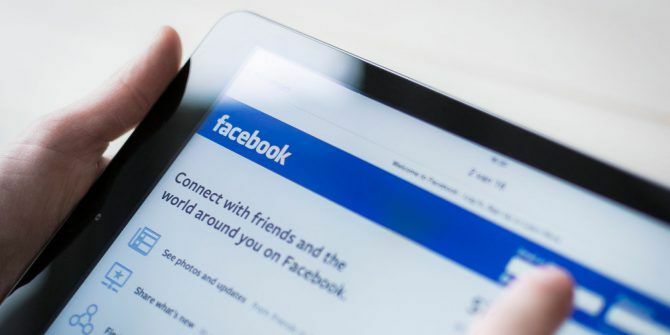 But if you need to access more than one Facebook account on your phone, iOS and Android users can give Friendly a try 7 Best Facebook Messenger Apps for Desktop and Mobile 7 Best Facebook Messenger Apps for Desktop and Mobile Like Facebook Messenger, but want more flexibility? Don't worry, third party developers have your back. Here are the best Facebook Messenger apps you can get, apart from the official one. Read More . Do you use Facebook’s Account Switcher feature? Let us know in the comments. In addition to my original Facebook account, a few months ago, I opened “mistakenly on purpose” opened a new FB account to be associated with new Facebook Business Manager and Ads Manager accounts. Ever since ten there's been conflict between the two facebook accounts, with me having to change passwords as if Facebook expects the one password for both accounts. Now I am locked out of the Facebook account associated with my Business and Ads Manager accounts and don't have the Account Switcher button that i used to see from the FB account used with Business and Ads Manager. Can someone help me out. The switch button is really helpful, since it helps me to easily switch between my private and work account. But the button disappeared just as suddenly as it appeared after clearing cookies from my browser (Chrome). Any idea how to get it back? Have the same issue. Using Firefox, switcher button disappeared. Would like to know how to get it back. I've lost it too!! It was brilliant as I am admin on a group so have a separate account. FB won't let me log back into that account now since the switch button disappeared! It says I have mis-typed my email address for my personal account and I can't over-ride this! Sooo frustrating. Any teccies out there that can help please?? I'm having exactly the same issue! Cleared cookies and the switcher went away. Such a sad day! There is nothing on the interwebs on how to get it back either! I get the same issue. Suddenly it is gone but worst I dont know why. How to fix this? just tested a new easier way - With Firefox 57 upwards - with the containers tabs option active - you can have Two sessions of facebook open ( each container tab is has a new FF session ).